We are in a society that is struggling to overcome many types of chronic disease. The good news is that such diseases can be managed by adopting certain lifestyle changes. It involves everything from food choices, regular exercise, stress reduction, to being happy and truly enjoying our lives. A low-carb diet like a ketogenic diet is proven to be effective for most types of people. One study states how low-carb diets lower the risk for metabolic syndrome, obesity, diabetes and heart disease. Low-carb diets work by lowering glucose that we get from food. As our glucose intake reduces from such diets, we begin to burn stored fat instead and lose weight much faster. Controlling glucose also helps prevent diabetes. A diet low in carbs also helps prevent cancer as it cuts down sugar that is needed by cancer cells. It also boosts our immune system and lowers the oxidative stress of our cells. According to the WHO report on diet, nutrition and the prevention of chronic diseases, healthy diets are key to a long and healthy life. Eating nutrient dense foods and balancing energy intake are needed to maintain a healthy weight. Too much saturated fat and sugar in your diet lead to energy excess, obesity and chronic disease. Excess weight gain and being obese result in the increasing incidence of type 2 diabetes worldwide. Diabetes leads to increased risk of heart disease, kidney disease, stroke and infections. On the other hand, too much salt intake increases your blood pressure. A major cause of cardio diseases. Instead, enjoy fruits, vegetables and select foods of the marine origin. This diet pattern is not only healthier but more favorable to the environment. According to the WHO, a sedentary lifestyle is a major global health risk and is prevalent in both developed and developing countries. The bad effects of physical inactivity are more common among the urban poor in crowded mega cities. Regular exercise plays a crucial role in our health. It’s a key element of energy expenditure and is a basic way to balance energy and control weight. By controlling excess body weight mediates the harmful effects of metabolic syndrome. We live in a society that is moving very fast. We work too hard and don’t get enough rest. This results in stress that is toxic to our bodies. Stress not managed well can cause many chronic diseases and our bodies unable to function to their fullest. Some studies have even suggested that many people manage stress in an unhealthy way, such as overeating “comfort” foods. However, this makes the problem worse. You need to reduce your stress levels to improve your health. Simple techniques such as daily walks or mindfulness exercises can have a beneficial effect. Bear in mind that improving lifestyle choices are important steps towards better health. I have had my radiation treatment(IMRT) for my prostate about 7 years ago….my psa was reduced to nearly zero from the treatment….today, it’s rising again…as of today, it is 12….my urologist tells me next year sometimes it will be 24….I previously bought three bottles of your total prostate health but returned two…..I still have nearly a full bottle but need to know if it will/may reduce my psa….if you feel it would I will order 2-3 more but I need assurance….also, I am only 5 fee 6 inches tall weighing 126 pounds….is my dosage still 6 pill daily?…..Does my blood pH have any affect on my PSA? ….my blood pH used to be 6.0 but now 7.0. 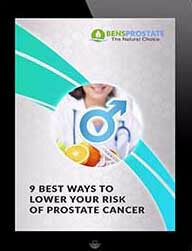 I formulated Total Health to feed the prostate with what it needs to become and remain healthy. With that said, a single bottle, without lifestyle or diet changes is not as likely to make an impact. My team will be happy to go into more detail with you, to run through the changes you can make to your lifestyle and to tailor a programme to fit your needs. Just send an email to [email protected] and someone will get back to you. I have your book and have been resisting any prostate surgery …wish that I could AFFORD your supplement but doing pretty well with another one….I have a PSA of 28? but read the book THE GREAT PROSTATE HOAX by the man who devised the whole PSA debacle saying REGRETS how AMA has used it to do unneeded surgeries…How can I naturally lower my PSA or does it really even matter anymore? I’m glad you’ve got my book. 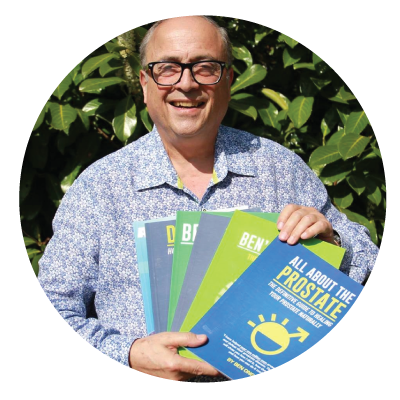 Even without the supplements, you can have a really positive impact on your prostate health. 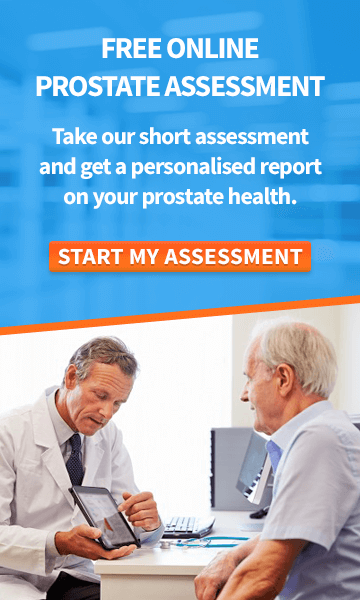 Just by following the guidance on my site, changing your lifestyle, moving your diet to the Ketogenic and avoiding all the things that can harm your prostate and you can see a reduction in PSA. The benefit of my supplements is that it supercharges the process – you can see results in 90 days, rather than a year or more if you try doing it purely with diet. You’re right that I think red meat is no good, but that’s rooted in the terrible feed and therefore health of the animals that we eat. Grass fed red meat is the best option, you can absolutely continue eating it, as long as it’s in moderation. Where can I find this tiny yellow fruit you call The Golden Berry. Thanks for asking. You can buy it at Costco, or online from Amazon. Take a look here if you want to buy it online. Are gooseberries and golden berries the same? How many should we eat per day. I found gooseberries in the whole foods store. I’m afraid not – Golden Berries are more of a superfood than gooseberries. Even a handful a day, with breakfast or in a smoothie would have beneficial effects. Once you’re eating more than 250g a day you’ll get diminishing returns though. You can buy it at Costco, or online from Amazon. Take a look here if you want to buy it online. Are gooseberries the same as golden berries? How many should we eat per day. I couldn’t find golden berries in any stores.They told me gooseberries were the same. They’re not quite the same, it’s because it’s sometimes known as the Cape Gooseberry, but it isn’t actually the same. You can buy it at Costco, or online from Amazon. Take a look here if you want to buy it online.